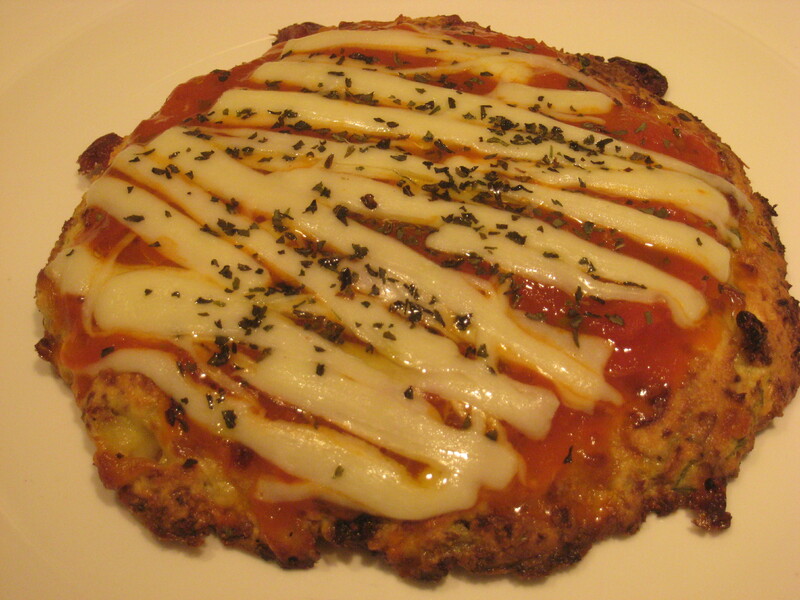 Cauliflower Pizza Crust…Yes We Can! Cauliflower pizza crust is the type of recipe concept that brings many food bloggers together: the Weight Watchers, the Low Carbs, Atkins folks, Gluten-Free peeps, the No Grains and the Low Grains. We are not so different after all. 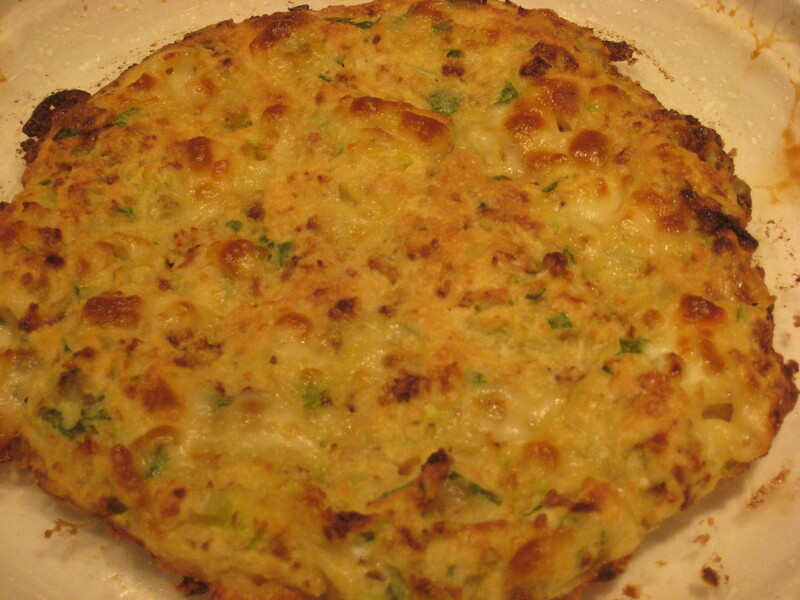 And when it comes to making a delicious pizza crust out of cauliflower…yes we can! I was so excited to get a head of cauliflower in my farm box yesterday so I could try this out. My daughter went from “that sounds gross” to “that looks delicious” very quickly. Due to the crazy weather in California our farms cauliflower heads are quite teeny at this time. So this turned out to be a small pizza and my husband was shut out. Well next time. When perusing different recipes online I did not see any using almond flour which I think makes it easier to form a crust. The addition of fresh green garlic added enormous flavor, if you can’t find green garlic chives would be a good substitute. I’m not going to use exact measurements because it depends how big your cauliflower head is. 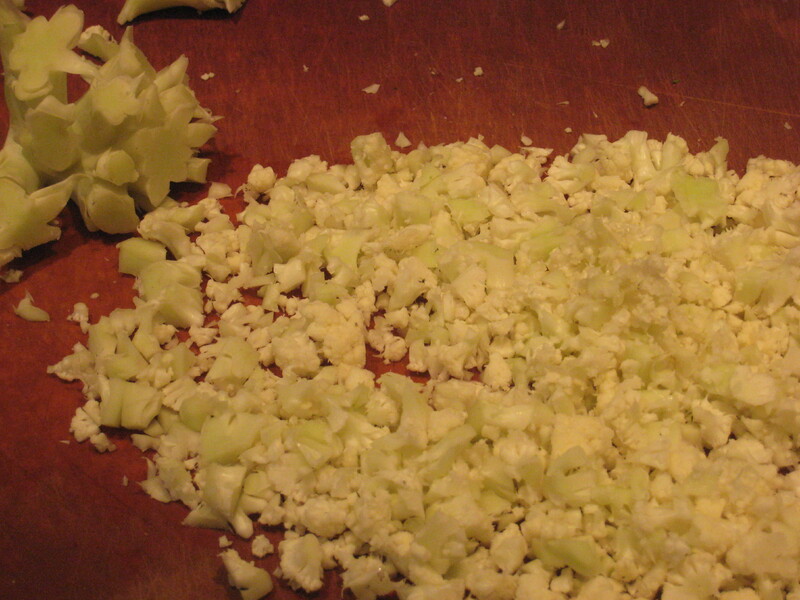 First chop a head of cauliflower into crumbly pieces (mainly the head and a bit of the stem). Microwave dry in a small bowl for about 5 minutes. It will be brownish and there will be shrinkage. 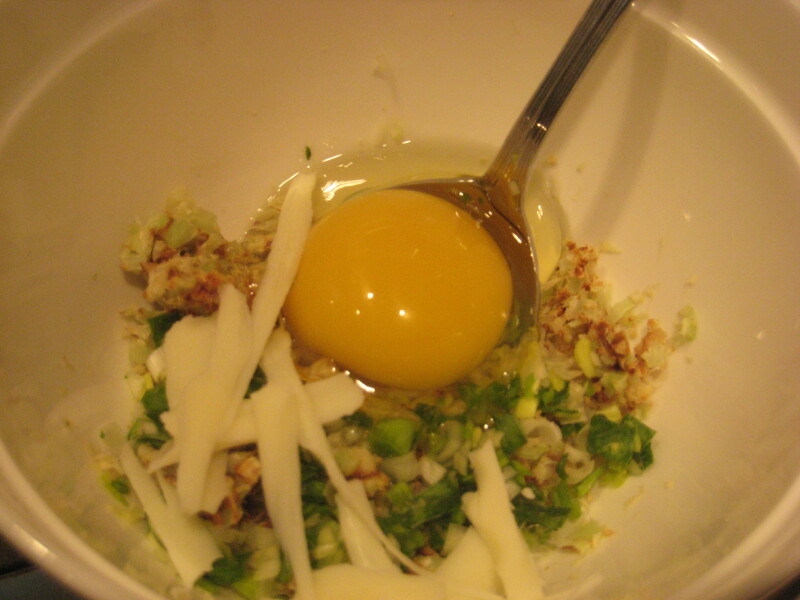 Mix with egg, salt, cheese and finely chopped green garlic. I also mixed in 1/4 cup almond flour (not almond meal). Add enough to form into a crust. Bake @ 10-15 minutes. You will know when it’s done when you start to smell it and it’s bubbly. Remove from oven and let cool. 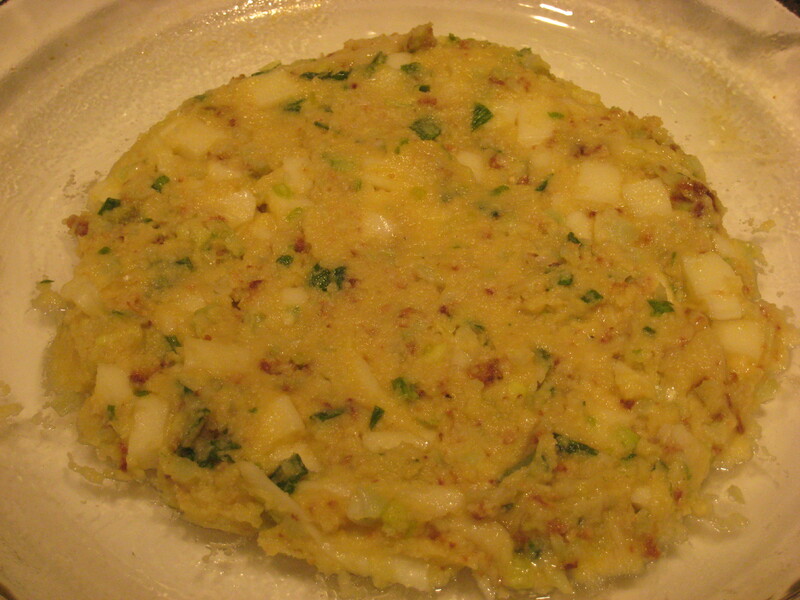 Brush with olive oil then add tomato sauce, cheese and toppings of your choice and put back in oven until cheese melts. I’m always looking for ways to make GF yeast free pizza. Can I make this crust without the cheese? Will I need to substitute something? Thanks! This looks really interesting! Thanks!